05 Oct ITS NEARY HERE, the event of the year. The JUSTIN ALEXANDER and SINCERITY designer showcase is nearly here, with 24 hours togo before the launch of the new collection, it is going to be incredible. 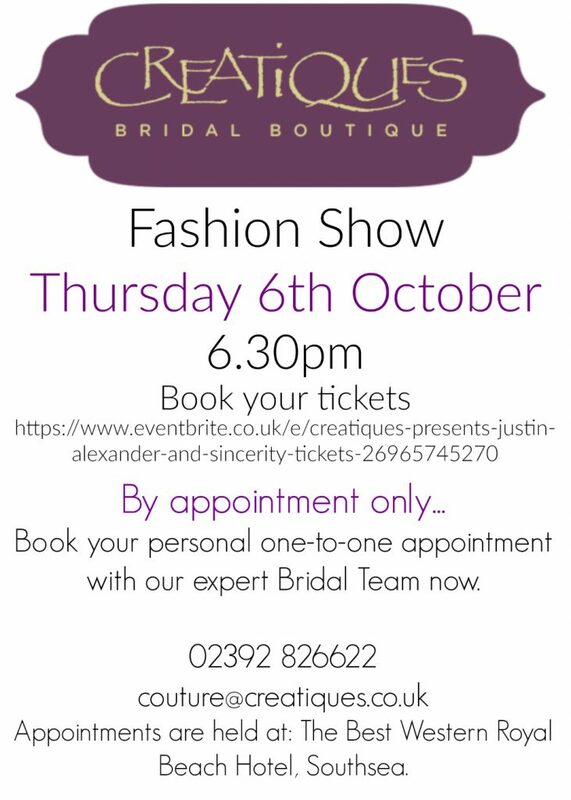 Join the multi-award winning Creatiques team and a host of other fabulous wedding suppliers including Lucy Bernier MUA, Tom Davenport Productions, Carl Wood aka DJ LEMON, The HairdressSir, Carl Christian Cakes, ASTARES MENSWEAR from havant, at The Royal Beach Hotel on Thursday 6th October for the launch of the BRAND NEW JUSTIN ALEXANDER and SINCERITY BRIDAL COLLECTION. Doors open at 6.30pm, for a 7.00pm start. 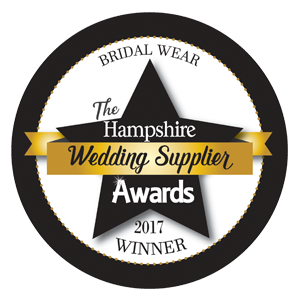 See the brand new gowns, worn beautifully on the runway by our models from Manic Stage Productions, and stylish suits and menswear from ASTARES.